EFT tapping for anxiety and fear is an effective way to stay calm and release crippling worry. 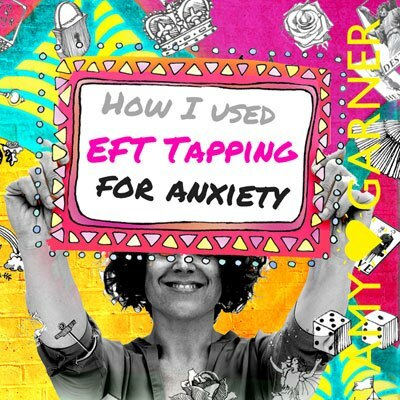 I used EFT tapping for anxiety and fear a lot in 2013/2014. This was because until then I was very much in the psychic closet. I was a professional intuitive with a busy practice in central London. Nevertheless, apart from my clients, very few people who knew me socially were in on my secret. That was because I felt genuinely afraid to share my professional life. It seemed that whenever I shared what I did for a living, I was either put on a pedestal or vilified. I quickly learned that the psychic profession polarises people. As a highly sensitive person it affected me deeply. As a consequence, me – and my passion – went underground. Nevertheless, at the time, I understood why I got that reaction. I knew the word ‘psychic‘ had negative associations. Afterall, famous entertainers such as Uri Geller, Peter Popoff, Sylvia Browne and other self-proclaimed seers made huge amounts of money before being de-bunked by skeptics. The sad fact that there are a lot of unethical people in the psychic world. I believe that due to being unregulated, which means there are no barriers to entry. There’s also a lot of misinformation about what being ‘psychic‘ actually is too. At the same time, I think that genuine pyschics are maligned by more complex historical reasons. For example, persecution by the church, stigmatisation by the medical establishment and several centuries of left-brained science. Regardless, it got to the point where keeping this secret was becoming impractical. 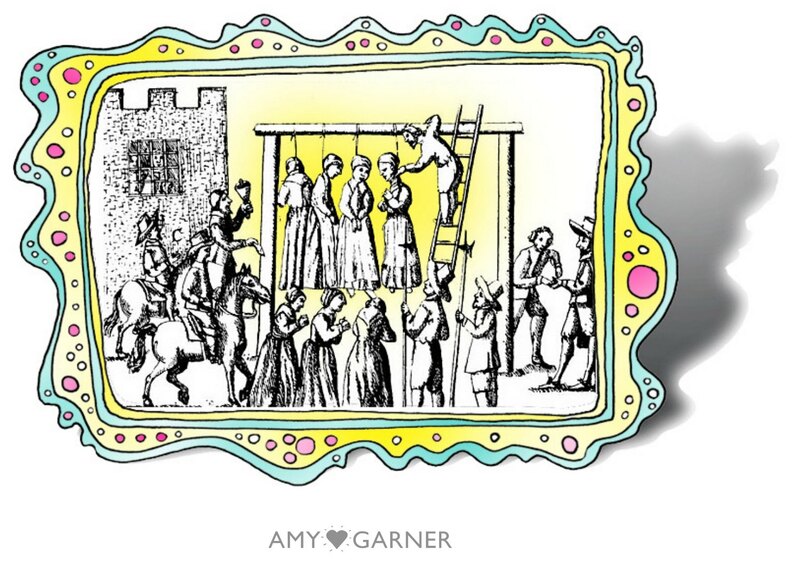 I was working under a professional name: Amber Garnet. Yet, I was serious about intuition and healing. I felt like I’d outgrown my old identity and I wanted to be my true self. But I was still very scared of the consequences. To combat my fears, I learnt a simple EFT (Emotional Freedoom Technique) sequence. I started tapping for anxiety and fear. Eventually, the crippling fear subsided and I was able to work under my own name. In fact, the fear and anxiety completely disappeared. I was so impressed by the results that I trained to be an EFT Practitioner (Levels 1 & 2 AAMET). I still use the technique today. You can learn it to. Sign up below for free instant access. ​​Receive ​PDF instructions + a simple audio EFT lesson – PLUS my weekly good vibes by email. ​For ​PC, Mac or Smartphone. I have battled with the intuitive part of myself for years. I’ve been afraid of it. I’ve rejected it. I’ve tried to fit in. To hide. In psychological terms, this is called ‘inner oppression‘. It’s when you take in so many negative messages about what you are, you reject that part of yourself in order to conform. By conforming there’s hope you will gain approval and respect from the world. You will be safe. There was a voice in my head full of warnings. You are not good enough. You are a fraud. You will be attacked (verbally and otherwise). You will be a laughing stock. You will be considered mad. OMG, the worst of all – you will be used by people who only want to know you because they think you have a ‘hipster’ job… UGH! Gross. At the same time I’ve always had this secret appetite. For spiritual books, learning about divination and philosophical world views, visiting mystical places, personal development, symbols and archetypes, new ideas about the world and fringe concepts. An inner gremlin is a therapeutic term to describe an internal saboteur. It’s a voice that competes with your intution. Instead of affirming and reassuring you (your intuition), your gremlin undermines you. It holds you back from taking risks, making changes and reaching your full potential. My inner gremlin is a middle-aged, white, academic male who is totally left-brained. His way of looking at the world is linear, rational, scientific, exact, cognitive and cerebral. The language of the heart, symbols, feelings, the mysteries of the universe, transpersonal beliefs, the unseen and ancient wisdom traditions simply do not compute. Because his computer says no, he simply cannot understand. Science cannot explain these concepts (yet) so he attacks them without mercy. He accesses huge amounts of stored data to rip these unknowns into theoretical shreds. He’s a scary opponent. To him I am naive at best. A con artist at worst. Oh, and my clients are imbeciles. No amount of training would give me the approval I needed to feel safe. Instead, I needed to release my anxiety and fear about the work I was doing. Coming out as a professional psychic meant doing battle with my inner gremlin. It meant working under my birth name. It meant being more visible. Setting firm boundaries around who I would work for. EFT Tapping for Anxiety and Fear helped me do that. The single thing that helped me transition most – from hiding hermit to Glenda the Good – was Emotional Freedom Technique (EFT). First I took part in a free online EFT Tapping World Summit. I simply tapped and tapped for 10 days. At the end I felt like a different person. Then, I got very specific about what I was afraid of. I worked through various scenarios in my head. I worked through any past experiences I’d had that reinforced my sense that it was not safe to be me. It was like chopping down a forest, one tree at a time. Eventually, once the tallest trees had been felled, the whole forest fell down. I’d spent years talking to therapists and friends about my fear of coming out of the psychic closet. To be clear, I was not ashamed of my psychic work. Far from it: I actually felt it was sacred and needed protecting. 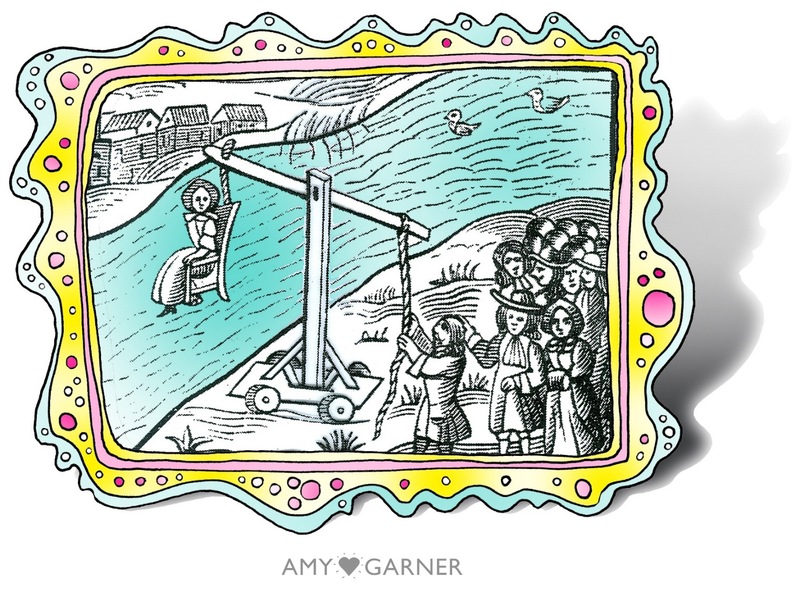 My anxiety was about being persecuted, judged, penalised, ridiculed or ostracised. Whether this was from a past life or from earlier times in this life, when I had been bullied for being different. Finally, one day May 2014, I realised the anxiety and fear were (almost) gone. I was not yet iron-clad, so I still took precautions. For example, when I met people I told people I was a counsellor (– which I was too!). You see the word Counsellor = socially acceptable job + less chance of an adverse reaction = less hassle for me. One of my fears about ‘coming out‘ as a professional psychic had been that everyone would expect me to give readings all the time. Additionally, anyone who met me could find out what I did for a living, just by searching online. Therefore, I put boundaries in place: to keep me safe, prevent a conflicts of interest and burnout. For example, I did not read for friends, or friends of friends. Likewise, I never transitioned clients into friends. These were all small but important steps that helped along with the EFT tapping for anxiety and fear. 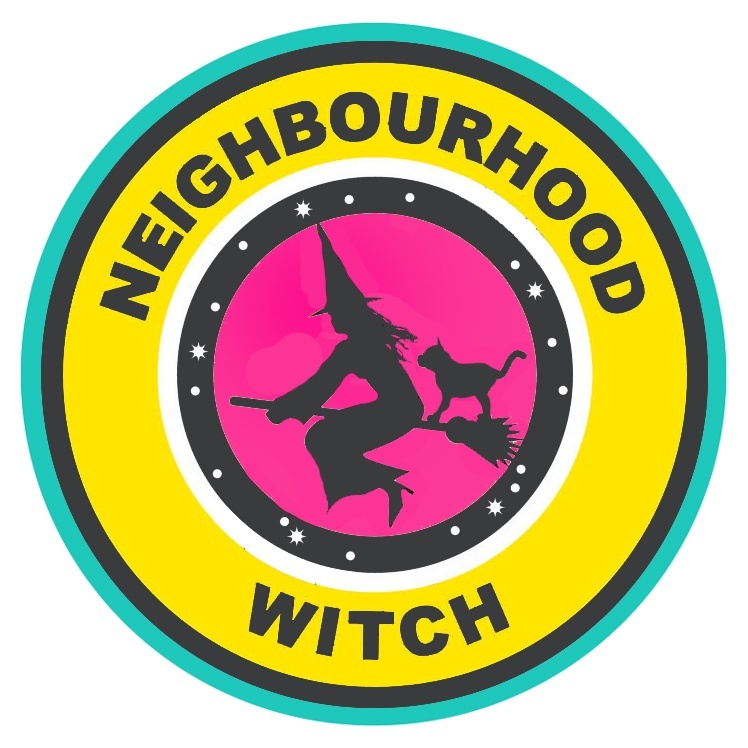 So, you see, I’m not quite the Neighbourhood Witch yet. But I was able to start being more open and reach out to more people professionally. Shining my light a little brighter and being more visible online. I believe EFT tapping for anxiety and fear helped me massively. I want to share this free, simple technique with you! Following on from this personal success, I trained as a Certified AAMET Emotional Freedom Technique (EFT) Level 1 & 2 Practitioner. After sharing EFT with my clients, I now share the basic EFT Tapping for anxiety and fear formula below. It is simple and free to use any time. Whether your anxiety is public speaking, a phobia, a difficult conversation or sleeping with the lights out. PLEASE NOTE: If you have symptoms of serious trauma or PTSD issues, please work one-to-one with a trained EFT practitioner who will be able to support and guide you through the healing process. You can find an EFT practitioner here. It’s free. It’s online. It happens every year. Gary Craig invented EFT Tapping and I recommend all his EFT resources if you want to learn more. For instruction on EFT tapping for anxiety or fear see the original EFT Founder Gary Craig’s book The EFT Manual and other resources: www.emofree.com. There’s also loads of EFT tapping to overcome fear videos on Youtube.